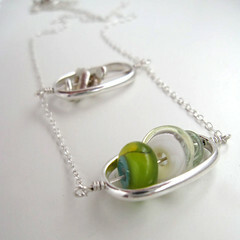 Two Ovals Necklace - Craftastic. had this design in my sketchbook for awhile. finally made it. turned out ok!